Frisco, Is your Office Carpet Dirty? First Impressions matter! 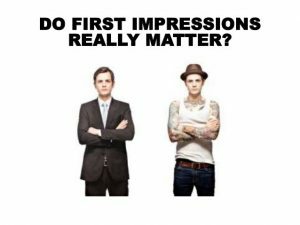 Do you think first Impressions matter? “So I have a dirty carpets in my Frisco office – so what?” This is what you may be thinking. “It’s the way we do business that matters!” Wrong! People get impressions based upon their first contact with you. That might be by a phone call or by a personal visit to your place of business. The same way you answer a phone call is important to your business. Well so is the first impression a person gets when they visit your office. Dirty carpets will give off a bad impression. This cannot be denied! Ever wonder why people go to vacuuming their carpets and cleaning when they expect visitors to their home? Some even go to the extent to run a carpet shampooer over it. This is because they want to make a good impression, and they know their visitors will notice their dirty carpets and get the wrong impression. Word of mouth travels the fastest and soon everyone will know about your dirty carpets. The same is true with your place of business or office. A dirty office gives off sloppiness. Will your clients be impressed if the show up to your office in Frisco and notice the spilled coffee stains on the carpet or dirty foot marks from the production area? Of course they won’t and who is to say that they won’t assume the way you conduct your business as sloppiness and lack to detail? They are quite likely to associate your sloppiness with the cleanliness of your office and reception area with the way you make your products or administer your services. Ultra Clean Floor Care can help you avoid all this by cleaning and restoring your carpets to their original colors without damaging them. We know first impressions matter! We pay attention to detail while you focus on your clients. Ultra Clean can set you up on quarterly cleanings to ensure that your carpets stay clean year around. So Ultra Clean Floor Care can ensure that our Frisco, carpet cleaning service can enable your offices to get back to normal quickly without avoiding wet carpet areas. Ultra Clean Floor Care can prolong the life of your carpet by cleaning them on a regular basis saving you money on replacing them when they wear prematurely due to all that grit from dirt building up continuously, cutting away at the fibers. Let Ultra Clean Floor Care restore your carpets and ensure they stay clean. Call us today, we will show up measure your office building and give you a quote, free of charge. Ultra Clean Floor Care also Cleans Residential. Click to see more! !